Pearl, the hidden gem of San Antonio, situated next door to our very own O Beach Ibiza will be ready this Friday to open it’s doors to a new Summer. This year Pearl will have a brand new Gin Bar and a drinks menu to celebrate. We thought it would be fun to educate ourselves on the history of gin and it’s importance to Spain. The next time you need to show off your gin knowledge (that happens, right? ), drop this knowledge bomb. In 1923, the Gin Twist was all the rage. Mentioned in multiple novels and periodicals, this drink consisting of gin, lemon juice, simple syrup and hot water was the Beyoncé of cocktails—if Beyoncé was even more famous. Gin should never be drunk on it’s own. It’s made to be mixed with tonic, or into fancier cocktails such as Tom Collins, Negroni, Gimlet – and of course the Martini. In fact, there are more gin-based cocktails than any other spirit. Spain gets through 3.2 million cases of gin per year, with 75% of this made locally. Consumption has dropped from 6 million cases in the ’90s, but the Spanish still buy 5 million litres from the UK every year and is Spain’s second largest export market. Spain, the largest European market known for the ‘boldness’ of their measures and love of extraordinary garnishes – gin and tonic with a star anise, anyone? 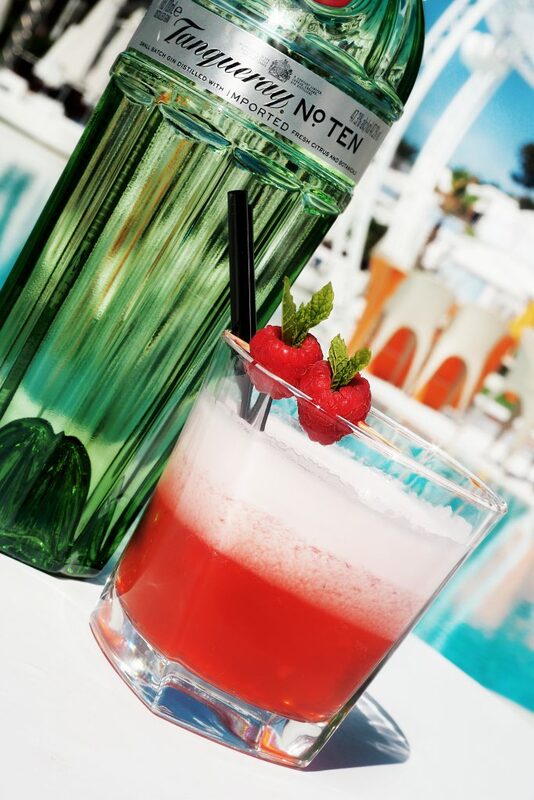 The Spanish, would you believe, are the biggest drinkers of gin in Europe. They can also rival the Brits for the story of our much beloved tonic water! Gin with a slice – but why is it lime, not lemon? It did used to be a lemon, until Gordon’s were putting together a marketing campaign and thought the yellow lemon clashed with its green bottle. In Spain, a ‘dash’ really is a dashthey like their “gin-tonics” strong, maybe even half/half. It has to be served in a pseudo-goldfish bowl (a large balloon glass, called a copa) with plenty of chunky ice to keep it cold without melting. And, here’s the wacky bit, the Spanish go gaga for garnishes. We’re talking peppercorns, star anise, nutmeg, mint leaves and more. While some bartenders take this to the extreme, there’s no doubt making a gin-tonic is something of an art form in Spain. Which gin do they like? Given the Spanish penchant for potency, you really can taste the difference in your glass between the plethora of gins on offer. Should you ask for a gin-tonic in Spain, the first question from the bartender will be ‘Which gin?’ often followed by ‘Which tonic?’. Some bars even dedicate an entire menu to gin-tonic, with tonics ranging from Fentimans and Q to Original and Boylan. 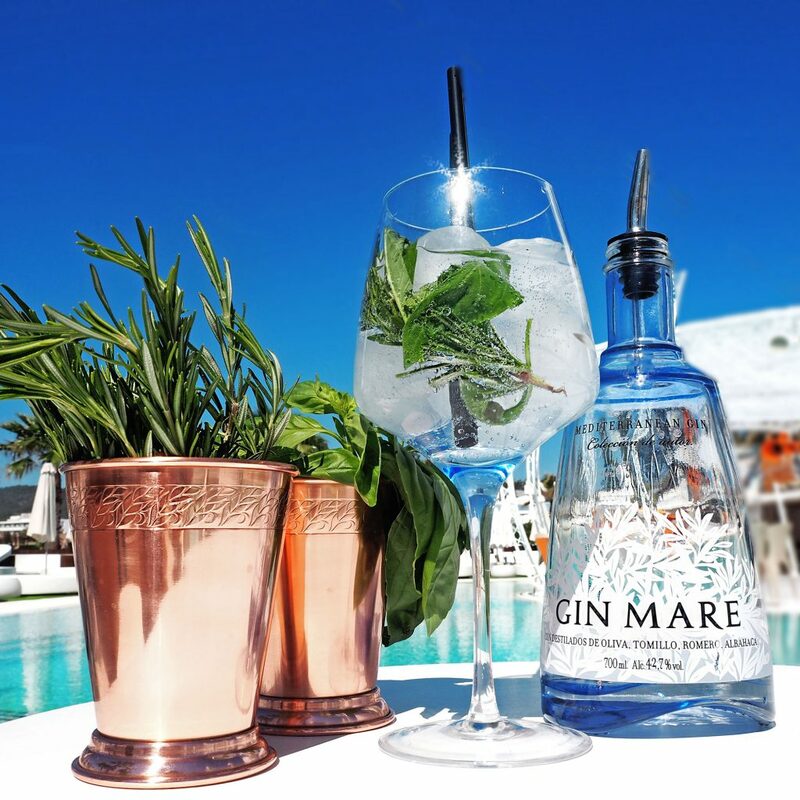 Spain has more than 30 gin brands of its own – Gin Mare from the Costa Dorada being the botanical star, with a pretty funky bottle to boot. Why do they love gin so much ? The revival of gin-tonics started off in Dicken’s Bar in San Sebastian, where top chefs networked over a good G&T. Then the word spread and the rest is history. Now, gin appreciation societies and workshops extol the virtues of this blend of juniper or that hint of rosemary from Barcelona to Madrid and dedicated gin-tonic bars figure all over the country. The best way to taste gins for comparison is at room temperature, diluted with an equal measure of water. This reveals both qualities and flaws. Perhaps surprisingly, gin-tonics are rarely served as aperitifs in Spain but rather postprandially or in nightclubs. There’s a growing trend towards a tipple with a plate of tapas, too. Quality gin-tonics aren’t just the preserve of the up-market bars, though, as even the lowly spit ‘n’ sawdust bartenders can rustle up a gem.